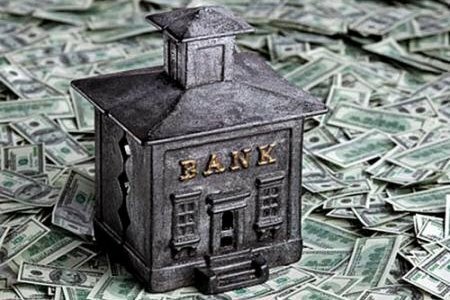 The share of bad loans in the banking system of Ukraine as of March 1, 2018 was 56.2%, which is 0.4 percentage points less than a month earlier, according to data posted on the website of the National Bank of Ukraine (NBU). The total volume of the loan portfolio for February decreased by 1.4%, to UAH 1.113 trillion. According to the National Bank, part of non-performing loans in state-owned banks decreased by 0.08 p.p. for the month, to 72.14%. At the same time, the NBU specifies that, excluding PrivatBank, at which the share of problem loans decreased by 0.35 percentage points, to 86.67%, the share of non-performing loans at state-owned banks declined by 0.14%, to 58.84%. The ratio of non-performing loans to the credit portfolio of foreign banking groups in February decreased by 0.77 percentage points, to 43.92%, banks with private capital by 1.04 percentage points, to 24.83%, insolvent banks increased by 1.61 percentage points, to 44.38%. The share of distressed assets of the banking system, taking into account off-balance sheet liabilities, as of March 1, 2018 was 29.44%, which is 0.51 percentage points less than a month earlier. At the same time, the total volume of such assets in February was down by 0.7%, to UAH 2.215 trillion.